Jonathan is an Associate in the Litigation Practice Group. His practice is focused retail and products liability, and commercial disputes in Virginia. Jonathan earned his J.D. at the College of William & Mary’s Marshall-Wythe School of Law, where he received a scholarship for a Graduate Research Fellowship and served on the editorial board of the William & Mary Environmental Law & Policy Review. Additionally, Jonathan placed first at the National Latino Law Student Association’s 2016 Moot Court Competition, where he received the award for Best Oral Advocate. Jonathan routinely judges debates for the Washington D.C. Urban Debate League, a non-profit organization focused on providing an organizational structure for the formation of debate teams at inner-city Washington D.C. area schools, thus, continuing his extensive history with high school and undergraduate level policy debate communities. 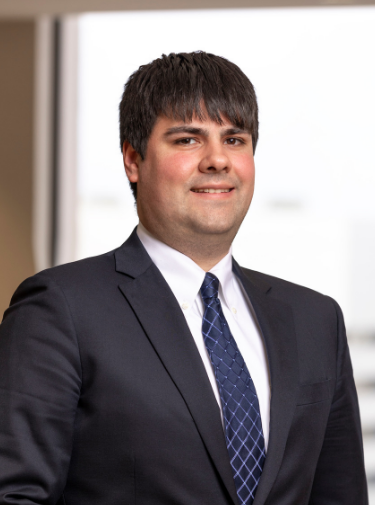 Prior to joining McCandlish Holton, Jonathan gained knowledge of the judicial system through his position as a judicial law clerk for the Twenty-Third Judicial Circuit of Virginia. Publication: Putting the Illegal Wildlife Trade in the Crosshairs: How the Global Conservation Crisis Demonstrates the Need for Lacey Act Enforcement of Foreign Laws, William & Mary Environmental Law & Policy Review (Fall 2016, Volume 41, Issue 1).